The battery connector supplied with your IMEON solar inverter is a SA350 meant for high power DC applications. It can withstand currents up to 450A and, depending on the cable diameter, allows one to couple the inverter to a large solar battery park to improve the rate of photovoltaic self-production. 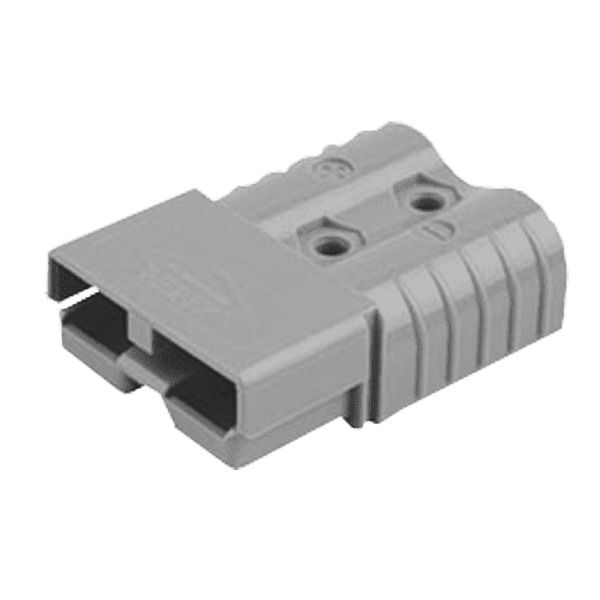 The SA350 type battery connector is genderless, there is no male – female equivalent, which allows to assemble the connectors without worrying about whether one mates with the other. The SA350 battery connector is foolproof to ensure that the connection is correct even in case of poor visibility conditions. Their distinctive shape allows you to connect your solar batteries without the risk of connecting another power source. It’s foreseen for cables ranging from 53.5mm² to 152mm² which allows to connect a solar battery of high capacity. 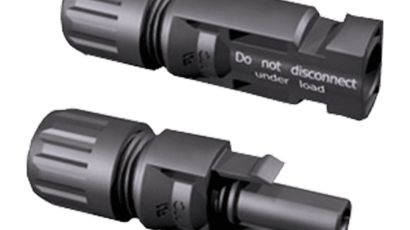 The SA350 battery connector is designed for maximum safety. It has a dielectric strength 2200V AC. The spring that is used inside keeps a firm connection between the two contact points, preventing the connector from slipping once the battery and inverter are coupled. The SA350 battery connector is made of fire-resistant plastic, classified according to the UL-94 standard at V-0. The internal design of the battery connector allows to disperse, in a controlled way, any arcs formed during the separation of the solar battery park from your inverter. Even though the connector supports disconnection during charging up to 100A current, the use of a battery breaker is still mandatory for safety as well as to avoid premature aging of the connector.